Attorney Matthew Logue is one of the founding partners of Quinn Logue LLC. He is a passionate advocate for his clients in Pennsylvania and West Virginia. Attorney Logue focuses his practice on plaintiff’s personal injury matters, general civil litigation, and business litigation, handling cases including trucking and other motor vehicle accidents, medical malpractice and train accidents. After earning a Bachelor of Arts from Georgetown University in 1998, Attorney Logue attended the University of Pittsburgh School of Law. While in law school, he served as the topics editor of the University of Pittsburgh Law Review, and upon his receipt of his Juris Doctor in 2001, he was honored with membership in the Order of the Coif. Attorney Logue is held in high esteem by his fellow professionals. He has been named to The National Trial Lawyers: Top 40 under 40, The National Trial Lawyers: Top 100, and Super Lawyers: Top 50 Lawyers Pittsburgh and Top 100 Lawyers Pennsylvania. Attorney Logue also has received a 10.0 “Superb” peer-review rating through AVVO. Active in a wide variety of legal organizations, he is a member of the Pennsylvania and Allegheny County bar associations as well as the Pennsylvania Association for Justice and the American Association for Justice. 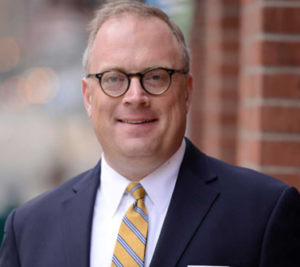 Attorney Logue also serves on the board of governors of the Western Pennsylvania Trial Lawyers Association and is a fellow of the Pennsylvania and Allegheny County bar foundations and the Academy of Trial Lawyers of Allegheny County. Attorney Logue is admitted to practice in Pennsylvania and West Virginia. He is also admitted to practice before the Supreme Court of the United States, the U.S. Court of Appeals for the 3rd Circuit, the U.S. District Court for the Western District of Pennsylvania, the U.S. District Courts for the Northern and Southern Districts of West Virginia, and the United States Court of Federal Claims.